Last week along with the reveal of WP 8.1, Microsoft also announced an upcoming update for Windows 8.1 and RT; simply titled Update 1. Update 1 brings a lot of UI changes that help users on laptops (and non-touch devices in general) navigate their way around the OS. The most major of these changes is the return of the start menu button, along with the ability to pin Metro Apps to the desktop taskbar, booting the device directly into desktop mode as well as accessing the taskbar from the metro start menu. 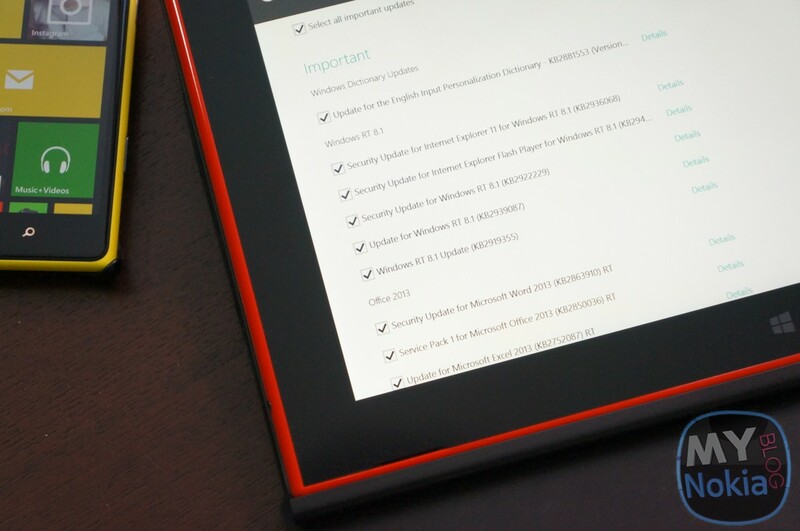 The update also includes some keyboard and mouse changes features and fixes; to grab the update open the settings menu on your Lumia 2520, and head to the PC Settings > Update and recovery. THe update is quite large, nearing a gigabyte if you have some additional updates pending; so depending on your internet connection this might take a while.